There’s two new members of the Joe & Seph’s family. Fear not they haven’t strayed far from the popcorn tree and have combined two great things. Popcorn and Chocolate. Enter the new Joe and Seph’s Popcorn Bites. To put it bluntly I had no hope of my local Sainsbury’s stocking them for a while. However low and behold on the day of release these two beauties were upon the shelves! Surprised doesn’t quite cut it. Coming in at £2.50 a pop (£3.50 if you buy on Joe & Seph’s website), you can choose between Milk or Dark Chocolate Popcorn Bites. Personally choosing wasn’t an option and both went into the basket. 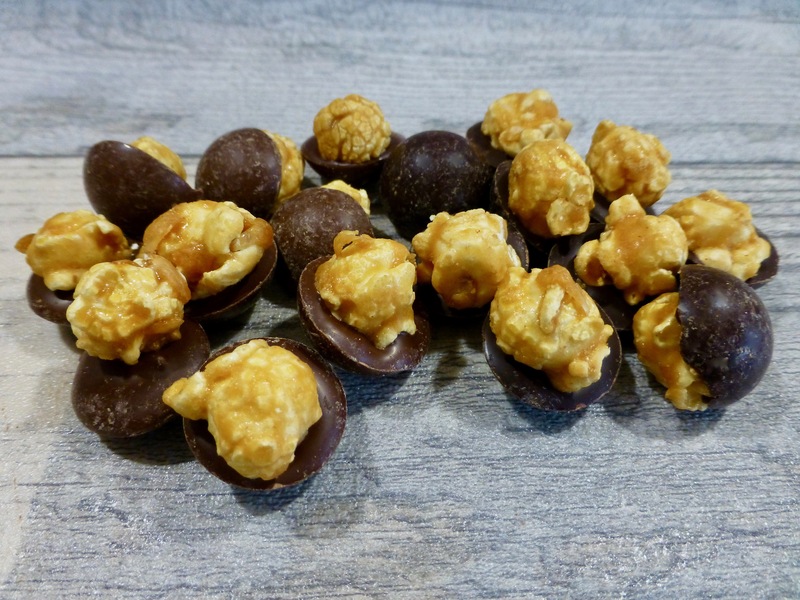 These chocolatey bites are handmade and feature their delicious Salted Caramel Popcorn that is then individually placed in chocolate and looks a bit UFO like. Each pack is 63g, odd number but we won’t dwell on that. It is also gluten free and vegetarian friendly. Each bite is indulgent and decadent. The glistening caramel coating was deliciously salty and carmaely, just how it should be. The crunch from the popped kernel is a must when paired with the thick chocolate cup. The milk and dark chocolate was both creamy, thick and of fine quality, with the dark being naturally more bitter. At first the salted caramel popcorn is prominent however when the chocolate cup starts melting it has the edge and pretty much overpowers the popcorn. This was particularly the case with the dark chocolate cup. Whilst I give these Joe & Seph’s Popcorn Bites top marks for quality, taste and being indulgent nuggets of joy, the popcorn becomes a little lost. With a slightly thinner cup they would become the perfect bites for me. 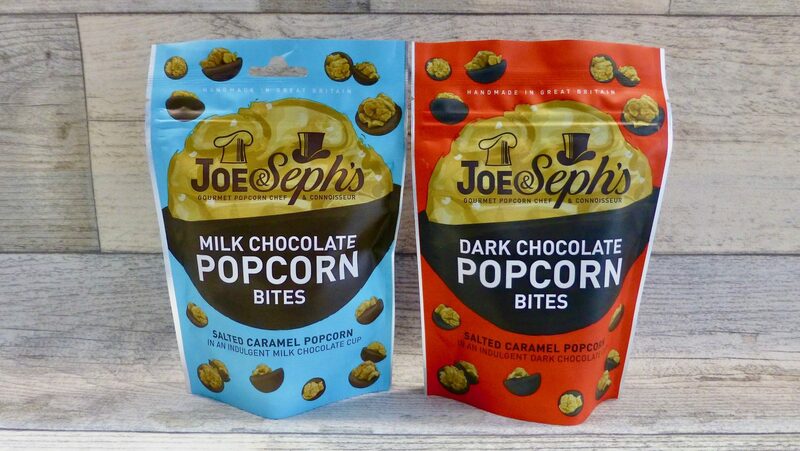 Have you given these Joe & Seph’s Popcorn Bites a go? What are your thoughts?